Grinding / honing involves an abrasive process to create texture on smooth stone surfaces, creating grip. This changes the surface to a matt finish but is extremely long lasting and cost effective. Etching involves application of a special acid that etches into the surface of the tile creating a fine texture that reduces slip. It can only be used on ceramic and porcelain tiles. This option can be applied for longer or shorter times depending on how much texture and slip resistance you want to create. A non slip coating is a very hard, very thin coating applied to the surface of the tiles with a fine glass bead. The bead creates slip resistance and this system will pass a wet slip test so is perfect for commercial premises. This can be applied to any surface. Non slip tape can be applied when you want a temporary solution that is easy to remove. Tape can be applied in any pattern desired on any surface. or visit our webstore to buy cleaning products for your surface. 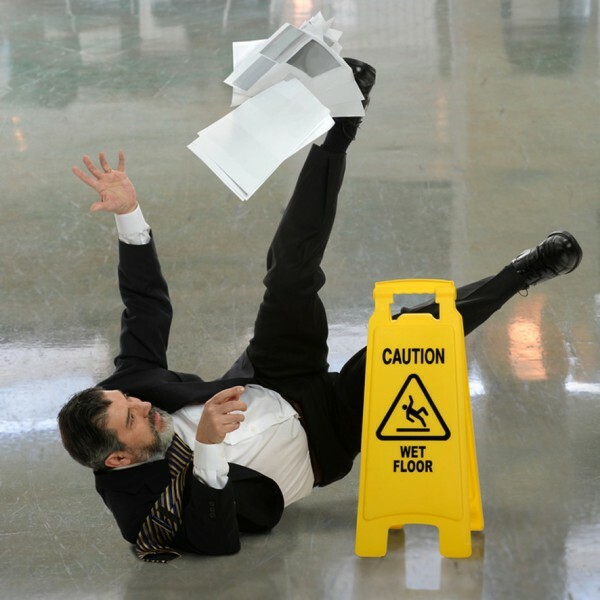 Whatever the surface there will be a non-slip solution to reduce the risk of falls. To contact us about applying a non slip solution to your slippery tiles, give us a call on 0800 754 783 or complete the contact form below.